Thinking About Installing Mortise Locks for Your Home or Office? Fort Worth Locksmith Pros offers a complete locksmith service in Fort Worth, and we install and repair mortise locks for many customers in Fort Worth, TX and surrounding communities. Our 24/7 locksmith service can assist you in resolving a lockout or lock-related problem quickly and professionally. With 5+ years’ experience, a strong work ethic, up front pricing, and fast and friendly service, we know the issues involved in making sure that a mortise lock functions correctly to safeguard your residential or commercial property. It can also secure locking furniture drawers or cabinets. Our expert residential locksmiths function as full service mobile locksmiths. We possess the experience, training, and tools to complete an installation or repair of a mortise lock correctly. We perform this work as quickly as possible for our clients. 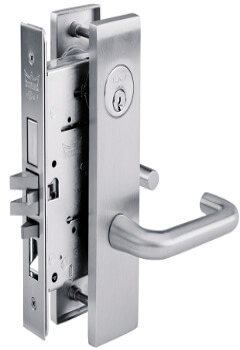 Today, because of their attractive security features, mortise locks enjoy considerable popularity. 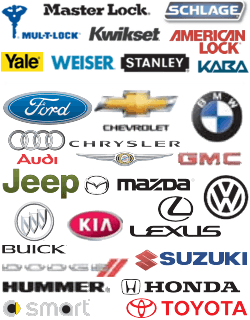 We offer a variety of sizes, models, and brands in order to provide our customers with the widest possible selections. You can obtain this lock in a color and style that suits your existing home decor. These products appear in a wide variety of styles, too: rustic, modern, traditional or contemporary! With so many choices, you will be able to find a mortise lock to fit your home’s decor. Our licensed, bonded, and insured complete locksmith service also offers mortise locks to businesses and institutions in the Fort Worth area. If your company wants to add extra protection to locked external doors or buildings, or to internal areas which must remain secure, then a mortise lock might be the perfect solution. With a rapid 30 min response to customer calls, our technicians can quickly and efficiently install and repair complex mortise locks. We possess the skills, tools, and experience required to complete this work as rapidly as possible, helping secure your premises against unauthorized access. Many types of built-in storage compartments. Why We Can Meet Your Lock-Related Needs! Fort Worth Locksmith Pros provides fully licensed, bonded, and insured mobile locksmiths. We can meet all of your lock-related needs in Fort Worth, TX and surrounding areas. People appreciate our rapid 30 min response to calls and our fast and friendly, 24×7 locksmith service. With 5+ years of experience in this location, we know our way around the greater Fort Worth metropolitan area. Our expert technicians will not keep you waiting. Plus, we offer upfront pricing. Call us when you require a mortise lock installed, or for any other lock-related issue. We consider meeting your locksmithing needs our primary business! Mortise Locks Installed and Repaired http://locksmithftworthtx.com/mortise-locks/ 4.2/5 based upon 24 reviews.